Last year more than 35 million people traveled for Labor Day, trying to squeeze in one final road trip before the end of summer. If you’re planning on hitting the road this weekend, don’t let traffic or frustration get the best of you. Instead, follow these tips and you’ll be at your destination, enjoying a summer BBQ in no time. Leave early- If you’re leaving on Friday, try to hit the road before 4 p.m. If you end up caught up or can’t get out of work, delay leaving until 10 p.m. to avoid the rush. Leaving on Thursday or coming back on Sunday or even Tuesday could be better options for skipping traffic if you can afford the extra days. Know where you’re going- Plan your route and consider alternate routes. Waze is a great way to identify the best routes and understand the worst times to drive. Plus, you’ll get real-time traffic, accident and road maintenance updates. Get some rest- Driving when you’re tired can be very dangerous and sometimes a roadside stop can be a welcome break from traffic. Use Airbnb or Hotel Tonight to find accommodations along your route. If you’re not looking for an overnight stay, find unique roadside stops with Roadtrippers app. Keep your eyes on the road- Put your phone in the backseat where you can’t reach it. If you think you’ll still be tempted to reach around, turn off your sound and notifications so you won’t feel the digital pull. Ask passengers to respond to any texts you’re worried about missing anything. Even better, turn your phone off! Consider a staycation- Staying at home on holiday weekends means you can sleep in, get reservations at restaurants that are usually busy and explore local places you might not have discovered before. Plus, you’ll save some time and money! 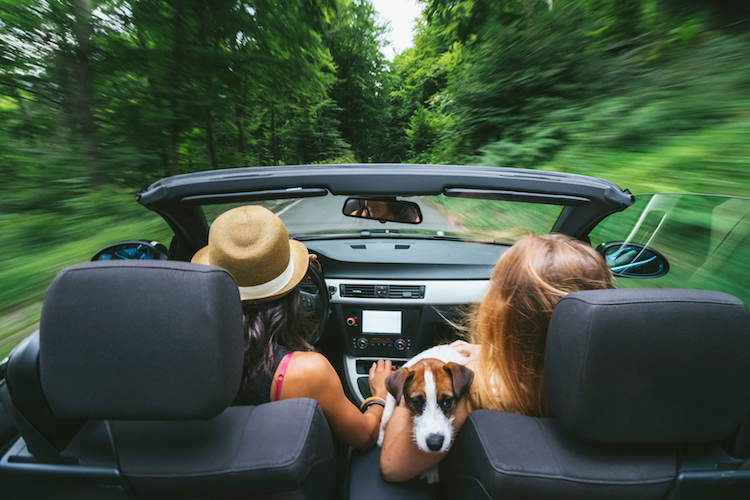 If you need road trip inspiration or tips for a successful road trip, Metromile has you covered. If you find yourself mostly using your car for road trips, you could benefit from Metromile pay-per-mile insurance. We even offer a road trip bonus! You won’t be charged for the miles you drive above 250/day (150/day in certain states). Get a free quote here and safe travels!